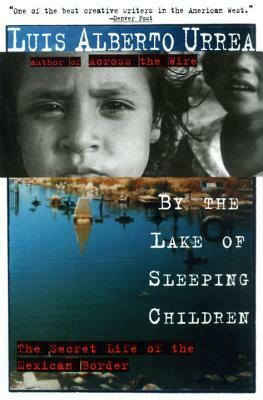 By the Lake of Sleeping Children explores the post-NAFTA and Proposition 187 border purgatory of garbage pickers and dump dwellers, gawking tourists, and relief workers, fearsome coyotes, and their desperate clientele. In 16 indelible portraits, Urrea illuminates the horrors and the simple joys of people trapped between the two worlds of Mexico and the United States—and ignored by both. The result is a startling and memorable work of first-person reportage. Luis Alberto Urrea was born in Tijuana to an American mother and a Mexican father. He graduated from the University of California, San Diego, in 1977. After working as a film extra, he joined a crew of relief workers helping the poor on the Mexican side of the border. In 1982, he went to Massachusetts, where he taught Expository Writing at Harvard. Currently, he lives in Boulder, Colorado.